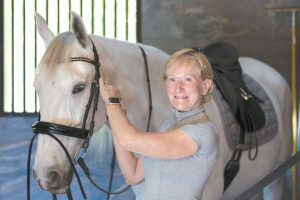 Denise Moxon, 65, is a retired registered nurse who stays fit by engaging in a variety of activities that include the challenging horse-riding discipline called dressage, yoga and weight training. Looking after her barn and horses requires physically demanding chores, but that never fazed her. That is until the day her back went out when she was shoveling dirt. The intense pain started in her lower back and radiated into her right thigh. At first, Denise thought rest would make it go away, so she stopped exercising and riding her horses. When the pain remained, Denise looked for remedies with two priorities in mind: She wanted to avoid surgery and narcotic pain medications. Over four months, she tried physical therapy, massage, steroid injections and acupuncture. “I did all of these things just trying to get out of pain and thinking time would take care of it,” she recalls. “But it kept getting worse and worse until I couldn’t even walk my dog for a short distance. Physical therapy did not help, and massage did not help. The acupuncture alleviated the pain, but it wasn’t a cure. I’d be pain free, but then I’d need acupuncture again. Denise consulted a neurosurgeon, who ordered an MRI. The imaging study revealed two herniated discs in her lower spine. She agreed with her physician they needed surgical repair. Due to the busy surgeon’s schedule, the operation couldn’t be performed for three months. Denise was resolved to suffering until then. Shortly after scheduling the surgery, however, she learned about Tyler Albrecht, DC, at St. Augustine Spine Center. She was intrigued by a therapy that Dr. Albrecht uses to treat herniated and bulging discs called nonsurgical spinal decompression. Wanting to learn more, Denise made an appointment to consult with Dr. Albrecht. Denise’s herniated discs were causing spinal stenosis, a condition that causes narrowing of the space for the spinal cord. This narrowing puts pressure on the spinal cord or spinal nerves, causing pain. Through his examination of Denise, Dr. Albrecht determined she was a candidate for nonsurgical spinal decompression. The therapy works to restore herniated or bulging discs to a healthier state, thus relieving the pain. “What I’ve found is that spinal decompression is usually the best treatment for a herniated disc because it helps to reverse the pressure on the disc and allows the disc to heal rather than just trying to cover up the pain with injections or medication,” notes Dr. Albrecht. 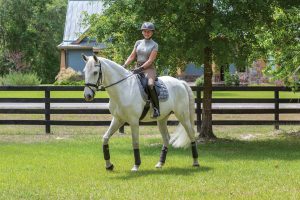 Denise is getting back in the saddle now that her back pain is gone. 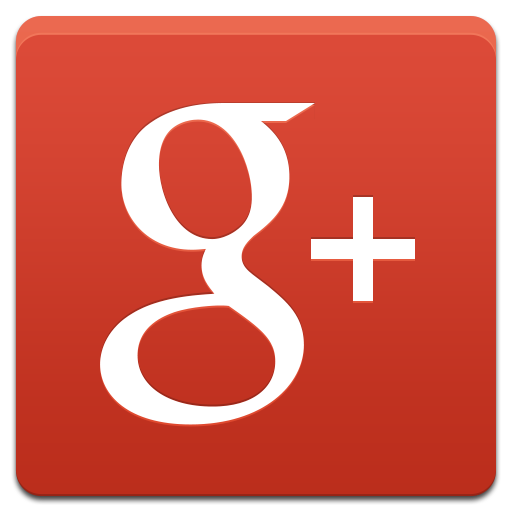 Denise liked how Dr. Albrecht explained the process clearly and comprehensively. Denise began a seven-week treatment regimen with three sessions of spinal decompression each week. In addition, she was treated with a combination of other modalities that are part of the disc rehabilitation program at St. Augustine Spine Center. They included manual therapy, chiropractic care, ice, electrical stimulation and laser therapy to help speed the healing process. The therapy sessions were pleasant experiences, Denise relates. Halfway through her treatment program, Denise discovered how much spinal decompression was helping. She went to a boat show with her husband and was stunned to realize that walking didn’t hurt anymore. “We were walking around and after about forty-five minutes, I stopped and said, Art, I have no pain,” remembers Denise. “Before, I would go places, even though it hurt to walk, because I’m an active person. I would walk, hurt, sit; walk, hurt, sit. Before her first visit with Dr. Albrecht, Denise says her average pain level was six on a scale of one to ten. By the end of treatment, she says, it had dropped to zero. Dr. Albrecht uses another feedback measure, the Low Back Pain and Disability Index, to gauge results. The questionnaire focuses on how much back pain interferes with daily activities. Denise is slowly working her way back into horse-riding shape. And before she resumes yoga and weight training, she is following a regimen of stretching and strengthening her core. Once she felt certain that spinal decompression had given her long-lasting relief, Denise canceled her surgery date. Ultimately, she succeeded in finding a treatment that took away her severe back pain without surgery or drugs.